In general, Cham Islam is often used to refer to Islamism in Vietnam. This religion simply takes up a small portion in the whole population (about 0,075%). Across the country, there are around 40 Masjid (mosques) as well as 25 suraos (smaller than mosques). Furthermore, it is worth noting that most of the followers of the Islam in Vietnam tend to live in Ho Chi Minh City and An Giang Province. For that reason, the largest and most famous sanctums are also situated at such areas. Of course, visitors are warmly welcomed to visit these mosques every year. Believe it or not, many mosques not only become places of worship, but they are also used as education centers and attractive destinations. Whether you are a Muslim or a Non-Muslim, it is possible to meet Muslim community members, learn or observe how they worship, or just admire the Islamic architecture of the whole building. 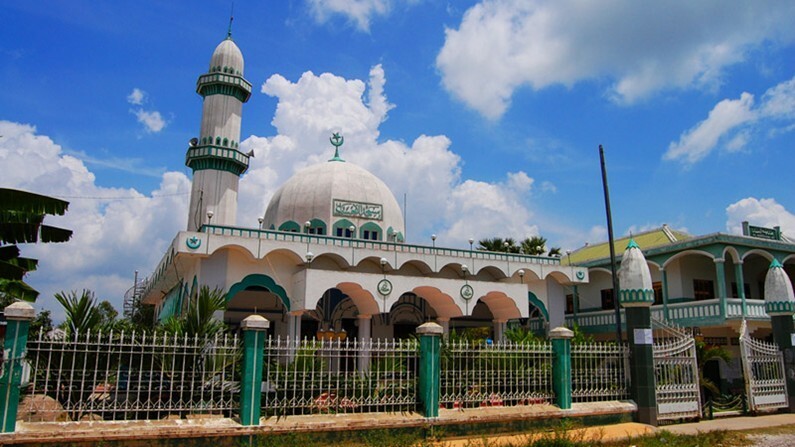 The following are some of the top mosques throughout the S-shaped country. Keep yourself pleasant and respectful before visiting one! Situated at 12 Hang Luoc Street, Hoan Kiem District, it is interesting to know that Jamia Al Noor Mosque is considered the only mosque in the Northern Vietnam. From a distance, the mosque leaves a strong impression on tourists, thanks to its white-painting hue as well as typical Islamic architectural decoration in both features and symbols. It has a total area of 400 square meters which was similarly designed as many other mosques in the world. A number of Vietnamese and international Muslims usually gather here around 12.30 PM every Friday to attend a prayer session. Of course, large carpets are always available for the peak moment. Guests are able to see special pictures of Islam culture at all sides in the mosque. With 114 years old, it is sure that Al-Noor Mosque has witnessed a lot of major changes of Hanoi. 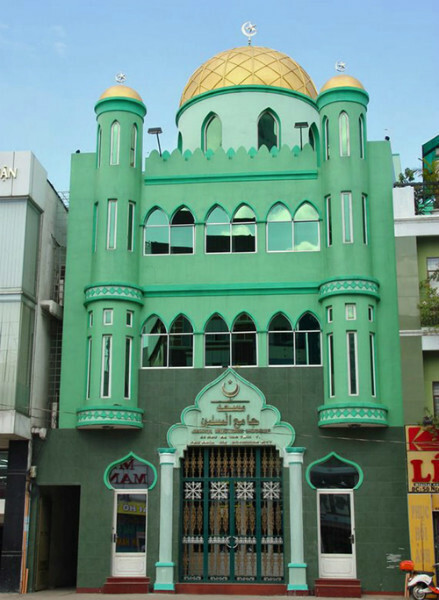 Firstly constructed in 1935, Jamia Al-Musulman stands out as one of the reputable mosques in Saigon. In the past, its existence aimed to serve Muslims from Southern India who lived in the city. Today, it is a large gathering place for both Pakistani and Indonesian believers to practice their belief. The peak time is Friday every week, when not only advocates but also tourists visit here to spread their eyes over the Mass. Although the corridor is not large, it may even accommodate hundreds of the believers. Southern Indian Muslim architecture is a prominent feature here that catches much attention from tourists. Especially, you are quite able to find Halal food outside of Jamia Al-Musulman. Try it to know what Muslims eat. Jamiyah Islamic is another well-known mosque in Saigon. Its initial appearance started in 1973. However, a lot of Cham people migrated from Mekong Delta to Saigon in 1946, because of invaders. Many of them who have worked as guardians in Tan Son Nhat Airpot have lived around Ward 15, Phu Nhuan District, Ho Chi Minh City. 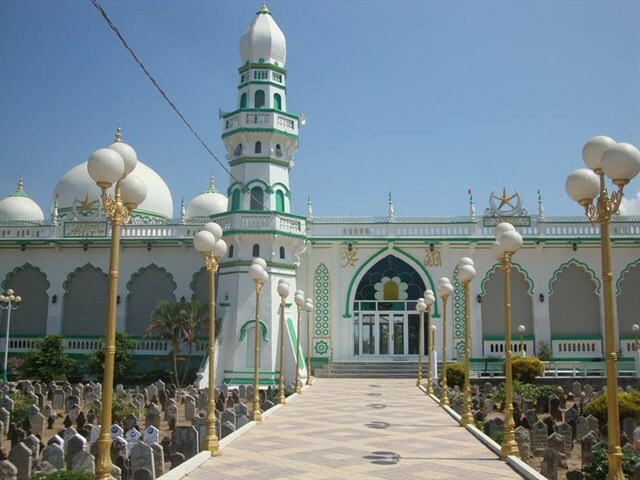 At that time, Jamiul Muslimin was built to serve the spiritual requirement of such people. These days, here is a religious gathering place of 30 Cham households with 169 believers. Checking in the mosque brings you a great opportunity to admire its architecture and spiritual lifestyle of the locals. 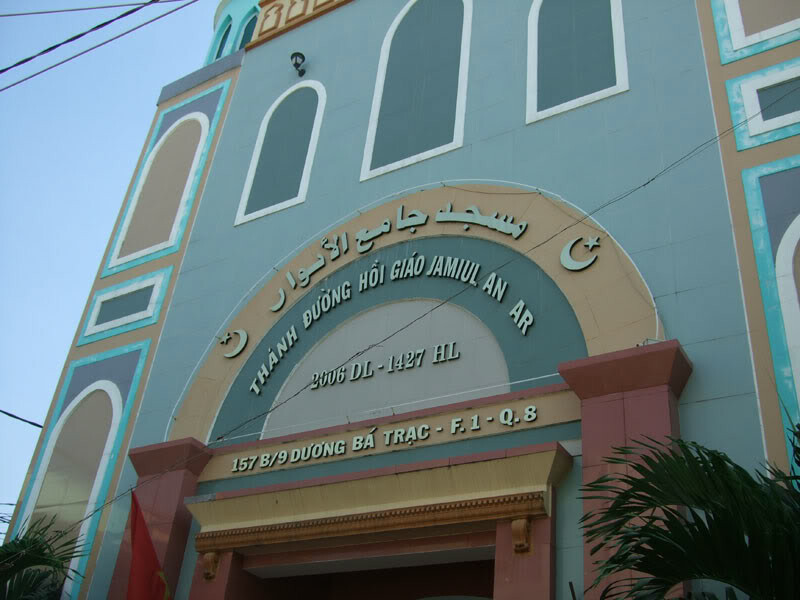 Situated in a not-easy alley of Duong Ba Trac Street, District 8, Jamul An Ar Mosque can not immediately be found since it is also surrounded by a lot of narrow alleys. Thus, make sure that you are instructed by a well-informed tour guide. After successfully seeing it, you can be impressed by a lot of Muslim symbols on its walls. Cham people, Indonesians and Malaysians have emigrated to our country for a long time. That’s why Jamul An Ar has become the sacred place for them to worship during their own holidays. It is quite possible to meet and talk with Cham people around the mosque. Though they are not rich, they work hard and frequently attend the prayer session with the hope that everyone in their family is happy, healthy and lucky. 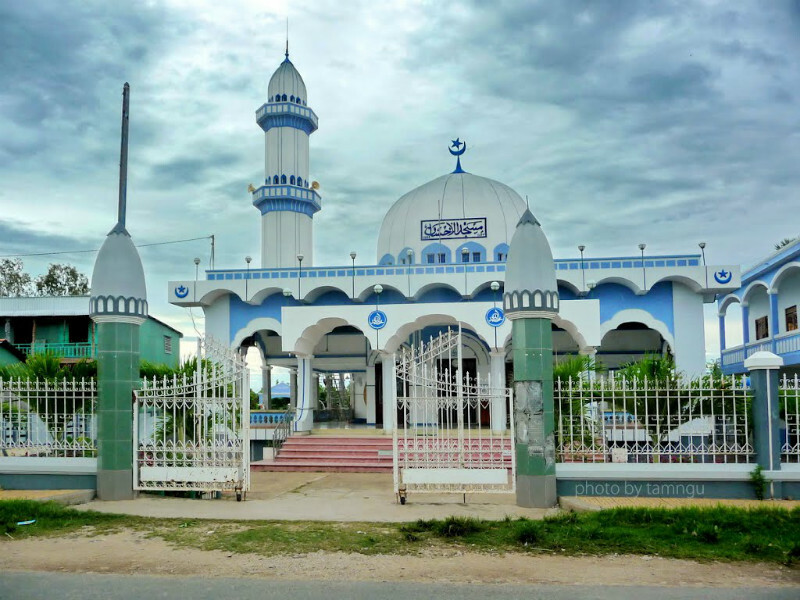 Located in the center of Muslim Community in Tan Chau Township, An Giang, Mubarak Mosque may be easily accessible by ferry on the river. From a distance, tourists’ heart will be won by a typical Muslim architecture, in which the onion-shaped peak and crescent moon patterns stand out from the surroundings. Constructed in 1750 with the basic appearance of bamboo pillars and cottage roof, it was then impressively renewed its look with brick walls, wooden pillars, tiled roof, and rock ground in 1808. Don’t miss a chance to spread your eyes over a wide collection of Rapana drums with over 500 years old. 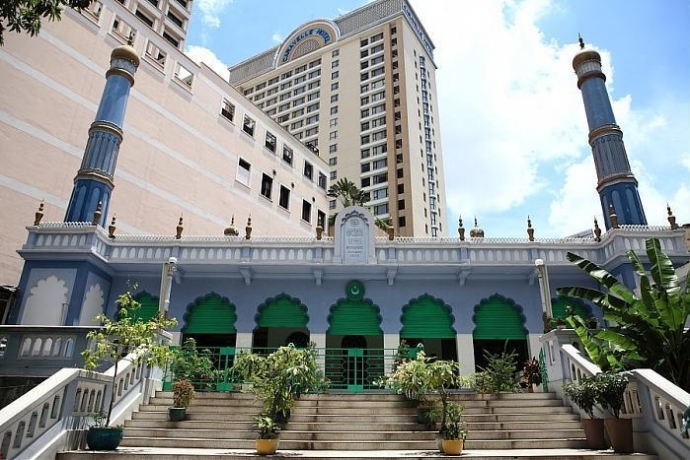 If possible, you are recommended to check in Mubarak Mosque by a boat cruise along the river. Thanks to this way, you have a chance to feel the peace and fresh ambiance of the sanctuary, whether it is in the morning, at noon or during sunset. 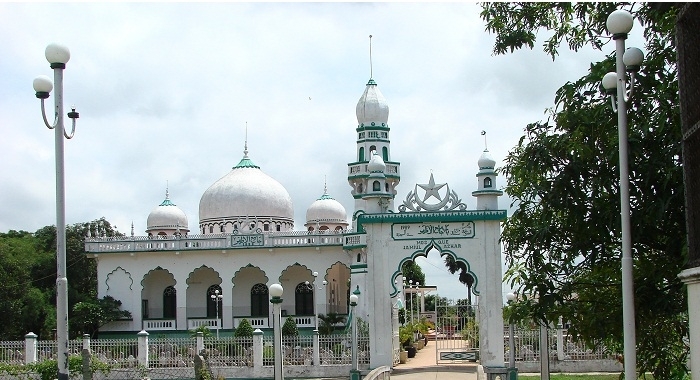 Jamiul Azhar is considered one of the largest mosques in Chau Phong Ward, An Giang Province. Constructed in 1959, it has gone through lots of renovations in which the biggest one occurred in 2012. The great prominence of the mosque is emphasized through its dome, crescent moon as its symbol, as well as its gorgeous façade and sophisticated architecture. According to the local Muslims, a prayer session takes place in 5 different moments, including before the sunrise, before the noon, the afternoon, the evening, and before the night. One of the most interesting features is that there is an Islamic cemetery in front of Jamiul Azhar. Actually, here is where many Islamic followers from different regions of Vietnam have been buried. Another reputable mosque in An Giang is the Mosque Masjid Al Ehsan which was built in 1937 and then renovated in 1992. Here is a prayer and worship place for 210 families of the Cham community. From the first sight, your vision will be drawn to the white hue of the mosque that is outstanding and incredible from the surroundings. There is something you should keep in mind. Please refrain from taking pictures after stepping inside the mosque if this is what the management requires you to do. Besides, show your great respect for the religious nature of the site.